Galaxy Note 9 is Samsung’s most popular mobile phone this year. Its appearance and features are not inferior to Apple’s iPhone XS Max. However, yesterday, the Note 9 spontaneous combustion incident occurred in the United States, once again concerned about the safety of mobile phone products. CaseMe Case accessories manufacturers found a business opportunity and released a mobile phone case for cooling. 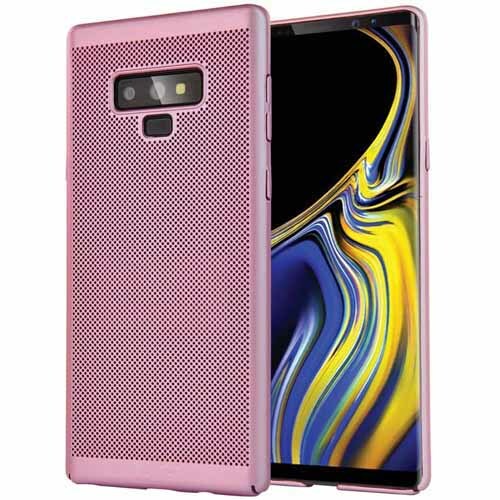 This is the first Samsung Galaxy Note 9 Case with heat dissipation. The inside of the phone case is designed with spider web texture. The heat dissipation performance reaches 70%, which can effectively prevent Note 9 from spontaneous combustion. You no longer need to put the phone in the refrigerator or water. If you also like the wallet case, you can check out this CaseMe Samsung Galaxy Note 9 wallet case, which is the most popular wallet case in addition to the CaseMe iPhone XS Max wallet case.